A positive online reputation is one of the most powerful assets a business can have: more than 90% of customer purchase decisions are influenced by online reviews. Moreover, Nielsen suggests that 92% of customers trust “earned media” more than paid advertisement. A new buyer is always hesitant to make a purchase and usually gets the help of online reviews to gather more information that will help them decide whether to buy the product. Having positive reviews and ratings boosts the consumer’s confidence and helps them make their decision faster. Humans have a tendency to follow the group. If a niche group is happy after buying a product, then most people will easily buy that same product because reviews act as a validation for their purchase decision. This is also called social proof. So, how can you get lots of positive reviews for your business? The average customer will not look for buttons or fields to add reviews on your site. You need to place your CTA buttons where they are easily visible so that the customer is able to add a review on the site without any extra effort. Present some sample testimonials as inspiration. Do not have too many fields in the review form. If the customer is logged in then auto-fill the required details and only ask for the review. Add review forms on product pages as this will make it easier for the customer to write a review while they’re in the right frame of mind. Put a direct link to your review page from multiple places like emails, newsletters, social profiles, SMS, etc. 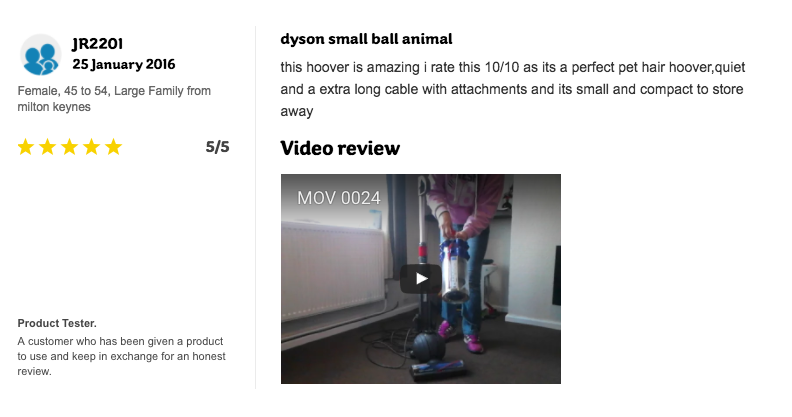 Don’t hesitate to add video customer reviews. They are a great source of inspiration to fellow reviewers. Leave plenty of white space while designing the form and make it mobile friendly. Don’t make any field compulsory. Make it easier for everyone to leave reviews even if you are getting a small amount of feedback. Set the tabbing order to create a logical flow for desktop and mobile users who wish to fill out the form using a keyboard instead of a mouse. Create a consistent rating scale for all the questions and keep the questions to a minimum. To get something, you often must give something in return. 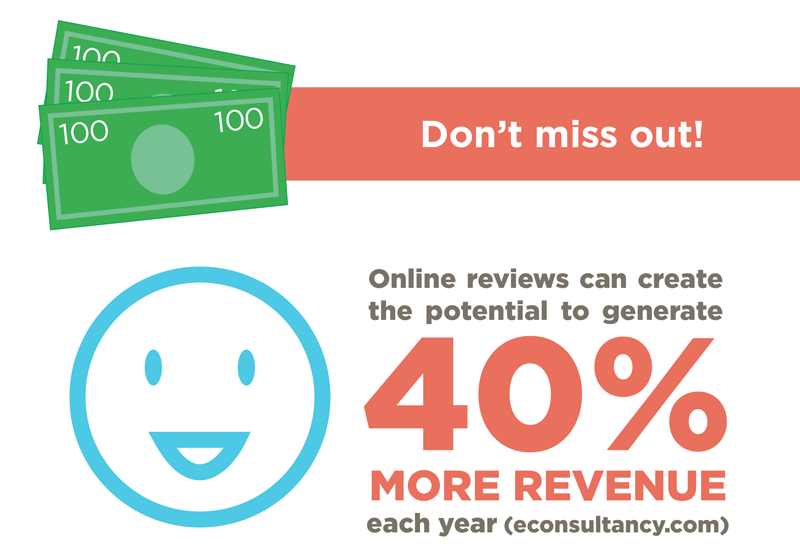 And if it’s reviews that you want for your online store, you should reward consumers accordingly. Be very careful, however, that you don’t come across as trying to buy your customers’ positive testimonials. There are limitless possibilities when it comes to providing incentives to customers, but a good rule of thumb is, the better the rewards, the more reviews you can expect to get. Provide sensible, relevant incentives such as free gifts, promotional pieces or discounts on future items or services. 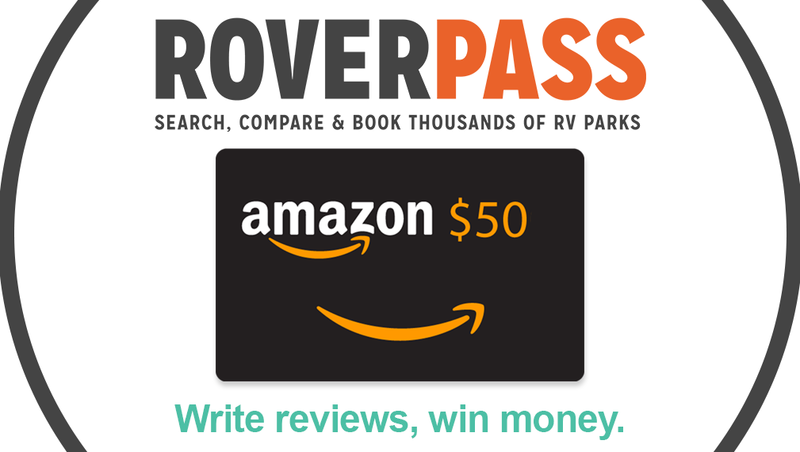 Hold contests if you wish to build up reviews even faster. For example, anyone who writes a review gets a chance to participate in the drawing for a more lucrative and expensive product, like a gift card. Allow customers to submit reviews in different formats. Make provisions so that product reviews accompanied by videos and pictures get better rewards than text-only ones. The more exclusive your reward, the more customers will covet it – prompting them to write the reviews. Implement an incentive program that allows employees to get a cash bonus whenever they manage to gather reviews. 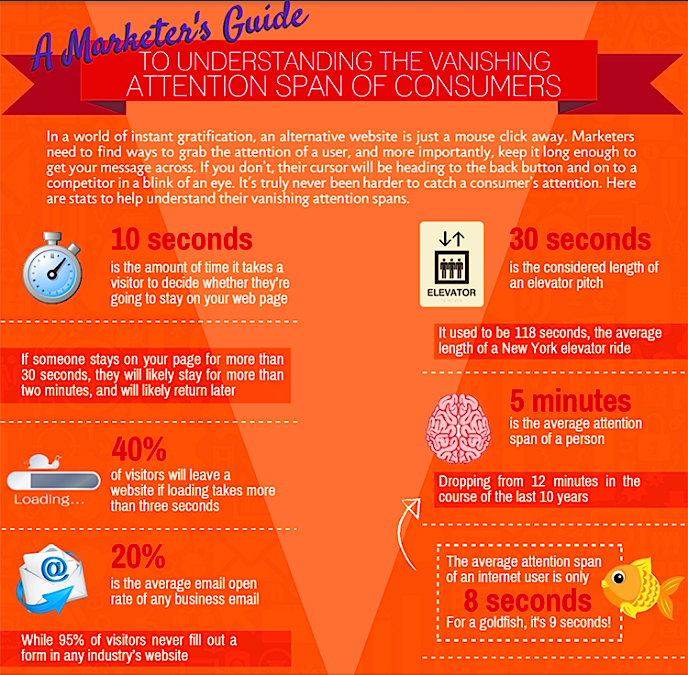 In light of ever-shrinking attention spans, such a printed reminder is a great way to keep your brand in the public eye. For example, a bookmark or a coaster with your brand logo in every package not only promotes your brand for free, but reminds the buyer about reviewing your site. Customers sometimes require a slight push to write reviews for your online store and your products. And branded reminders work perfectly in this case. Design and print your own custom branded reminder and include it inside your packages. Make sure the brand logo is clearly visible on the reminder. Attempt to add value to the customer’s life by using the right branded reminders for the right audience. Improve your chances of getting reviews by testing various branded reminders to see what works. Include reminders in every product package to maintain a sense of uniformity and consistency for the consumers. Get the message right by including reminders in the form of printed review “invites.” These card-sized invites should drive reviewers to your site’s landing page. The tangible card will serve as a clear reminder until the buyer tosses it out or writes a review. 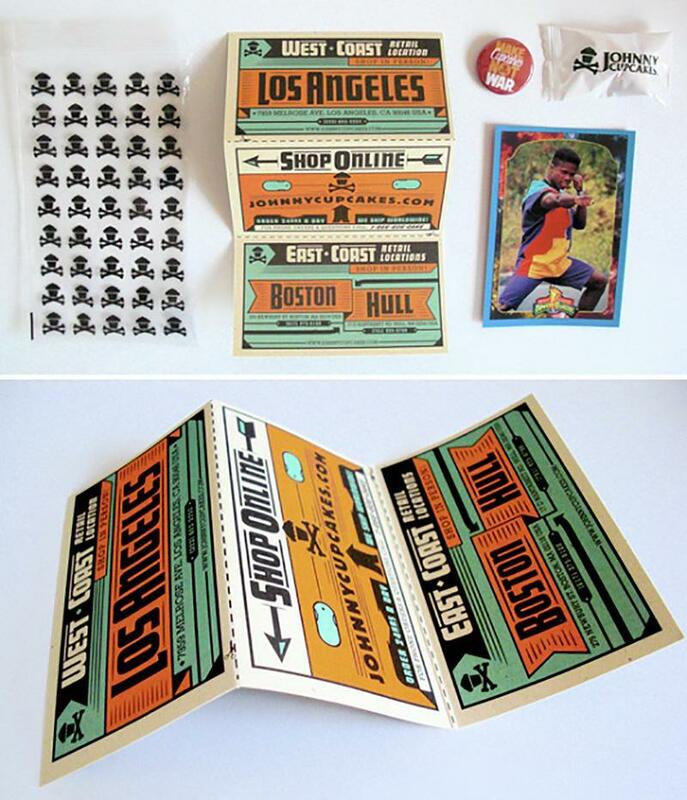 Check out how Johnny Cupcakes, a streetwear retailer, does this beautifully, with quirky inserts in packaging. Asking customers for reviews is one of the best ways to approach buyers after they have made a purchase. And emails are the simplest, most non-obtrusive way of asking! Devise an automated email message that clearly explains how important customer reviews are to your online store. Be honest and sincere, and customers will likely respond favorably to your request. Make the words “fast” and “easy” the highlight of your email. Customers do not want to spend hours writing a review. Don’t make buyers go through the hassle of logging in to your store to write a review or click through multiple screens. Incentivizing the review email also works. Throw in a free coupon in exchange for a review. Deliver the product and then wait a few days before you send the email. It has been proven that Mondays are the best day. Send another email a few days later in case they did not submit a review yet. It’s better to send it early while the customer is still excited about the item they just bought and the impression is still fresh in their minds. This primes the customer to understand and express what exactly they prefer about your product. Try sending another email a week later if this fails. By this time, the customer has already understood the full scope of the product. Connect with influencers through online platforms like mailshake or through sweepstakes and samplings, and once you have their attention, seek help with getting more reviews. Create a solid list of influencers whom you think would be good at writing reviews of your products. Here is a list of top influencer marketing platforms to choose from. 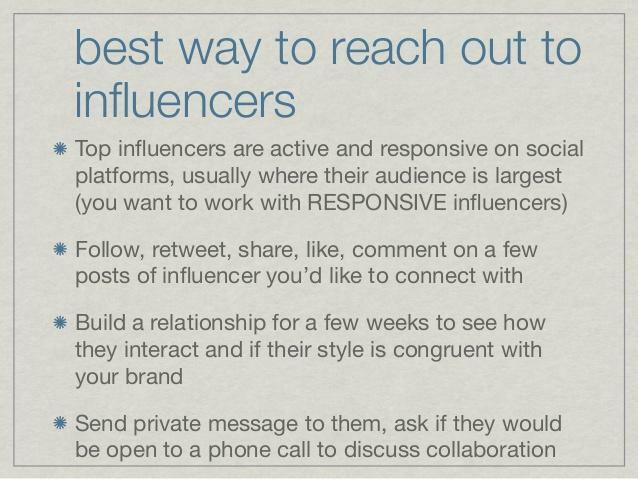 Have a conversation with influencers about telling their followers to review your products and your store. Communication between the influencer and the consumer on how to use the item or explaining product benefits offers a sort of foundational experience, leading to better experiences and more reviews. Hand out your product to influencers, so that they can review it themselves. Even a single review matters, and when it’s from someone so well-known, it becomes all the more significant. Give influencers a few extra samples to distribute to peers, followers and colleagues, and encourage them to write more reviews for your goods. 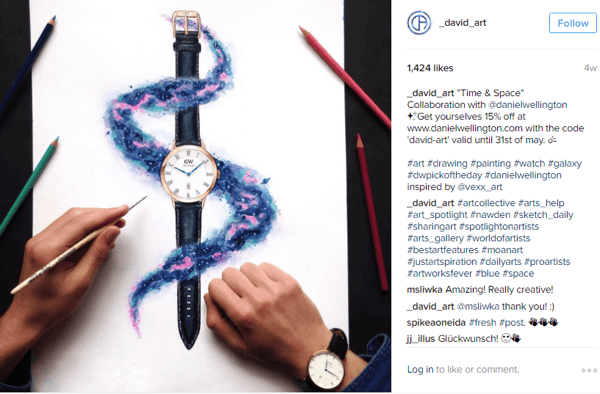 Check out how Swedish watchmaker Daniel Wellington nailed their influencer marketing to drive social proof for their watches. Here, renowned artist David Ambarzumjan tweeted an image of him wearing the watch, with a classy design focused on the product. 6) Don’t Forget Social Channels – People Love to Share Review There! Start marketing your business on social media for free. All you need is great content to build an online presence. Once you build up a sizeable online reputation, reviews start flowing in naturally. Be responsive to people’s reviews of your brand. Do not hesitate to engage them. If the review is positive, express your appreciation, and if it’s negative, apologize and try to figure out what went wrong so that you can resolve the issue. When dealing with your reviews, be consistent in what you’re posting online and how you come across as a brand. Open your competitor’s page and take a look at their reviews. Approach them to review your items as well. Many shopping sites list their top reviewers, and sometimes the email addresses of these reviewers are relisted in their profiles. Browse the list, find suitable reviews, and ask them to cover your store’s items as well. 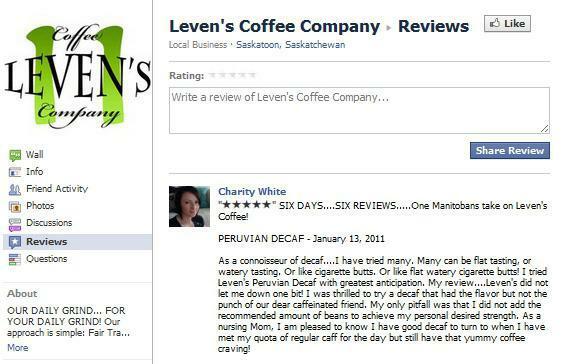 To get more reviews on your Facebook business page, add the “Reviews” tab to the visible tabs list, and invite reviews, much like Leven’s Coffee Company is doing here. Everybody wishes to be popular, and trying out something new before others makes you cooler among your peers. Some retailers are already turning to augmented reality (similar to virtual reality) and you should climb aboard this train, too. 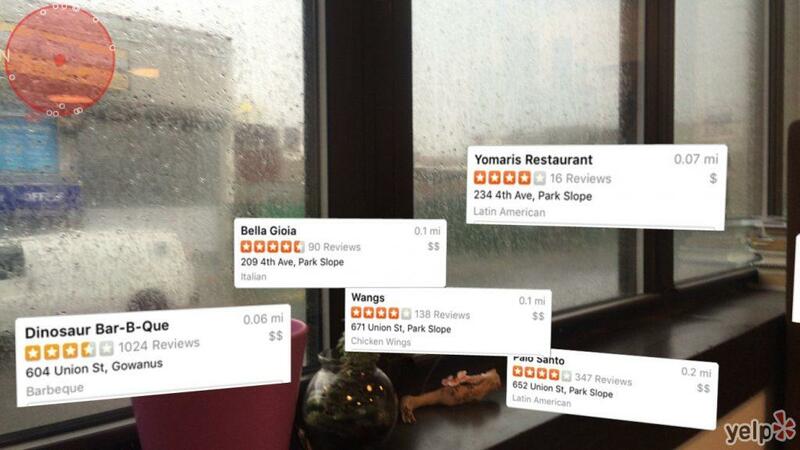 Augmented reality can help increase sales and generate more reviews. Ensure that customers are taken directly to a review form after using VR technology to recount their experience. Allow customers to review items in real-time as they browse your store virtually. While exiting the VR experience, customers should be given a choice about whether they wish to submit a review before leaving. Customers will want to share their VR experiences with friends and family and they will write reviews to describe their experience as well. Make it so that people who review products in your store get early access to AR technology. Customer service has a lot of potential when it comes to convincing customers to write reviews. Customer-centric business practices help you fulfill customer requirements, which in turn get you more reviews. Nurture a business environment that trains customer service reps to ask buyers for reviews. Focus on making efficient customer service a value throughout the organization. When someone is attentive and kind towards a consumer over the phone, the buyer is more likely to say thank you via review. Promote real personal connections between your team and customers to make the latter feel safe and cared for. Your team members can then ask happy customers to write a review. Create an actual community so that customers can share reviews easily. Implement changes to your product or services that have been requested by customers. When customers feel that their input has been acknowledged, they’re more likely to tell others about it through reviews. Make customer satisfaction a priority. Unhappy customers won’t just leave you; they’ll add to your competitor’s business and might even harm your business by writing negative reviews. Delight existing customers and attract new ones. Do everything in your power to ensure that buyers have a good experience purchasing and using your product or service. Satisfy your customers enough and they won’t just return to your store – they’ll also take it a step further and spread word through referrals or social media. Show respect for your buyers and be responsive to their needs. Here’s an example how Pottery Barn does it. Address customer issues and concerns, educate them on product updates, and develop exclusive content with insider tips and tricks. Make your customers the center of everything; this lets you establish strong emotional ties with them. And emotions shape attitudes that drive behavior and decisions. Engage with customers on social media by sharing entertaining, informative and valuable content. Don’t just post sales pitches. Act more like a human and less like a corporation, and it will not be hard to establish a good rapport with consumers. 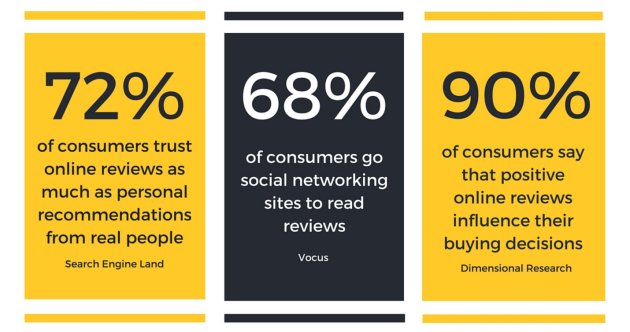 Considering that over 90% of consumers conduct online research before contacting a business, positive reviews are essential to your business. They help show prospective clients all the great work you do. Send an email asking the customer for a review. 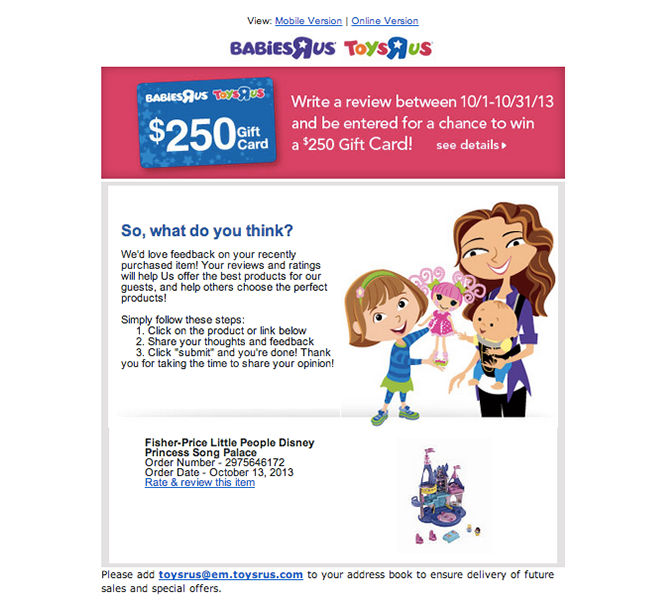 The email should contain a direct link to the review form. Make sure the URL loads quickly when clicked so that customers can easily leave their review of the business. Adding a direct link allows you to do away with search issues, frustration and abandonment of the review mid-process. 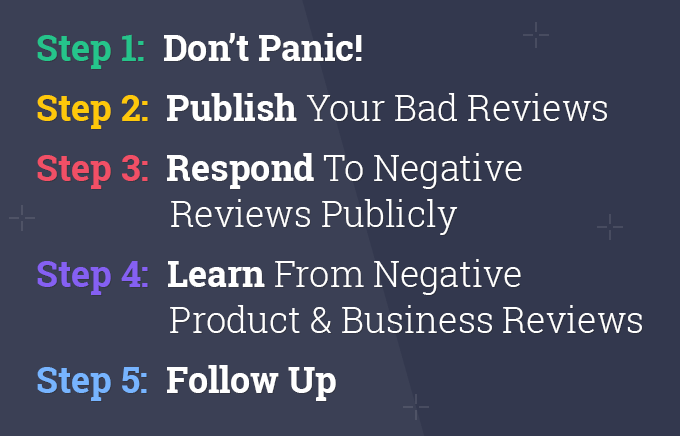 Consider every relevant review site that affects your business. Set up profiles on as many of them as you can. Put direct links to your review profiles in various places, including newsletters, emails and your e-commerce site. Download banners from review sites and add them on the website for your store. Clicking on these banners takes customers directly to the reviews page, where they not only see existing reviews but can write their own. 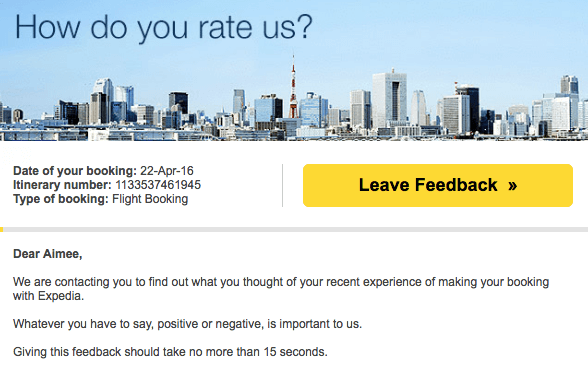 Expedia does it like a pro, with an automated email post booking (see point #4), a single-click link and a reminder that it should take only 15 seconds. Customer reviews are important to convince newer buyers to visit your e-commerce site, but it’s hard convincing consumers to take the time to write a glowing review for your store. However, with the steps mentioned above, you should have no trouble achieving the same!